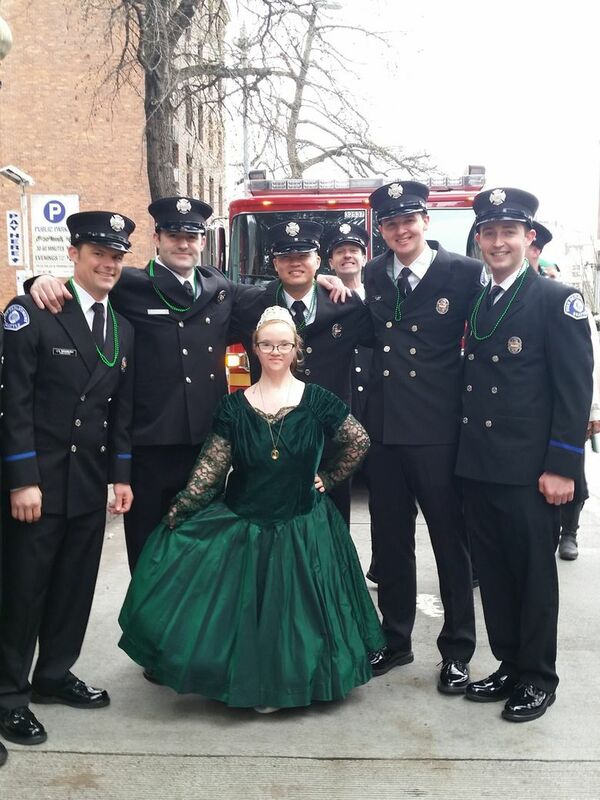 For 10 years, members of the Irish Heritage Club have watched Nicole Russeff walk and dance along the St. Patrick’s Day Parade route in a pretty green dress. And that’s fine. Everyone is welcome to get their green on. 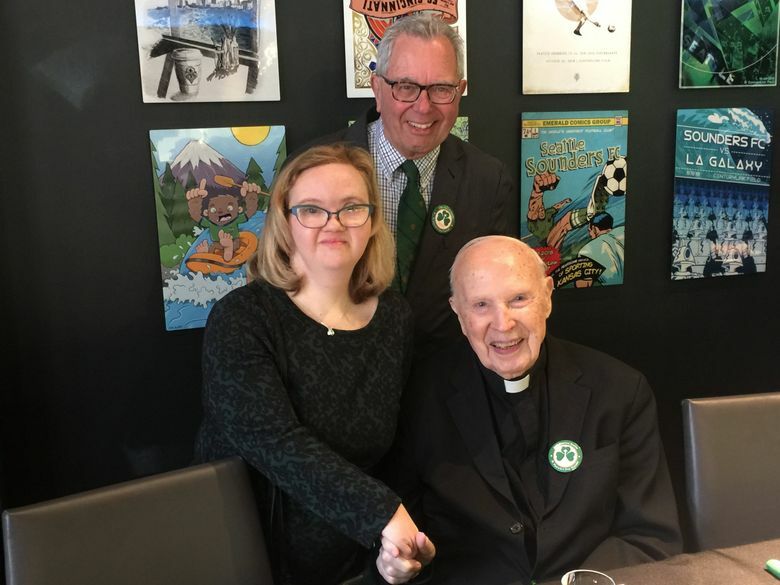 But this year, parade coordinator John Keane decided to make Russeff’s role official, and named her Honorary Grand Marshal of the St. Patrick’s Day Parade — the first one with Down syndrome in the Seattle parade’s 48-year-history. For the record, though, Russeff calls it “Up Syndrome,” which is probably what moved the members of the Irish Heritage Club to choose her to blow a whistle at the parade’s start and walk with dignitaries wearing a colorful sash. “I’m excited. 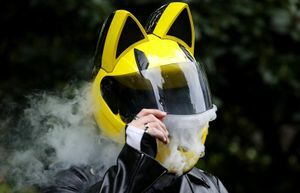 No, ecstatic,” Russeff, 35, said Friday, when she was seated at the head table at the Irish Week Proclamation Lunch with Grand Marshal Joe McDermott; Niall McNelis, the mayor of Galway, Ireland; Seattle Mayor Jenny Durkan; Police Chief Carmen Best and St. Patrick himself — former Seattle Deputy Mayor Tom Keefe, who wore a Kelly green miter and a long white beard. Russeff has the Irish credentials to walk the walk. 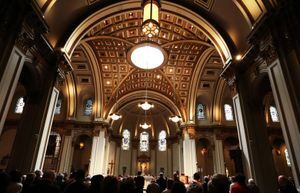 She is the grandniece of Lily Kempson, a trade union activist and member of the Irish Citizen Army who participated in the Easter Rising of 1916 and later immigrated to Seattle. Her parade days started about 13 years ago, when Russeff was at the St. Vincent de Paul Thrift Store with her mother, Shannon, and spotted a sparkling green “princess dress” that she wore to that year’s St. Patrick’s Day Parade. The two walked the route together, Shannon striding while Nicole did her princess thing in comfortable tennis shoes. Over the years, traditions have been established along the parade route. The Seafair Pirates always threaten to steal Russeff’s tiara and sell off the jewels. She makes sure to stop in front of the windows of the Luly Yang boutique at Fourth and University to take in the finery. And she always looks out for a little girl named Dakota, who has a thing for her green princess dress. “I want to be a role model,” Russeff said. Shannon Russeff remembered getting an email from Keane a few months ago, inviting Nicole to be an official part of the parade, and bursting into tears. St. Patrick’s Day Parade, 12:30 p.m. Saturday, March 16, Fourth Avenue from James Street to Pine Street, Seattle (irishclub.org/irish-week). Irish Festival, noon to 6 p.m. Saturday, March 16, and 10 a.m. to 6 p.m. Sunday, March 17, Seattle Center Armory, Seattle (206-684-7200 or irishclub.org/irish-festival-seattle).